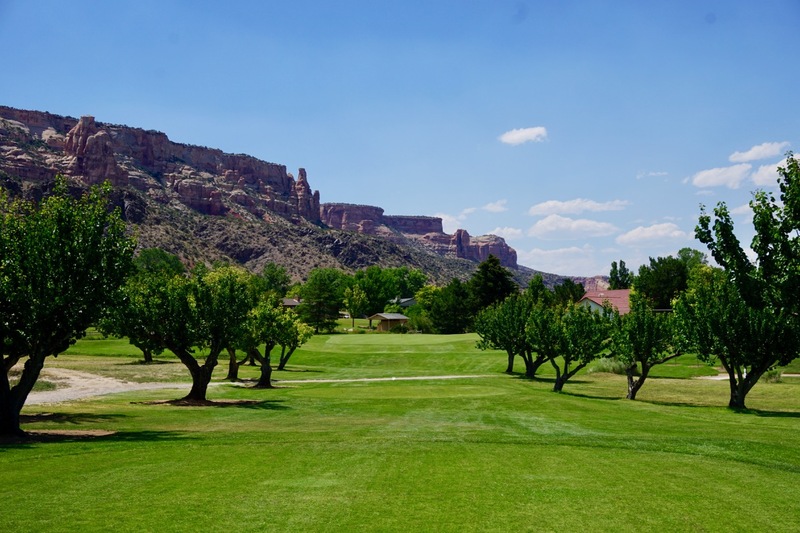 There is no question that The Golf Club at Redlands Mesa is the must-play golf attraction when visiting or passing through Grand Junction, but you might also want to check out Tiara Rado for a fun change of pace. Whereas Redlands Mesa is an “Oh Wow! 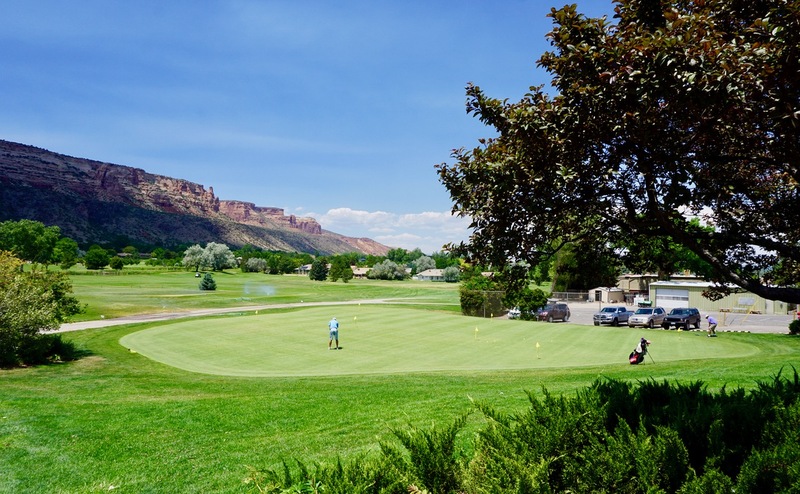 Experience, Tiara Rado features more of the parkland residential, everyday golf experience albeit with magnificent backdrops of the Colorado National Monument bluffs just off the course to the South. It’s as challenging for the better player as it is playable for the novice. Yes, for novices or beginners, Tiara Rado will definitely be a better fit and a little less expensive than Redlands Mesa. 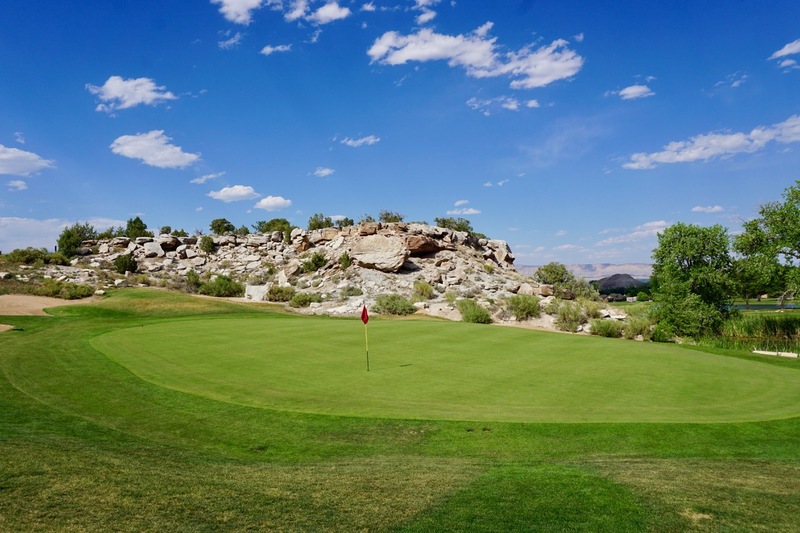 For better players or more avid golfers, it is not so much of a bunny-slope course as to not pose a challenge. A few narrow hitting areas and small push-up greens see to that. The conditioning is average-to-good making for a good value. Tiara Rado begins in rather nondescript fashion between the trees and housing. 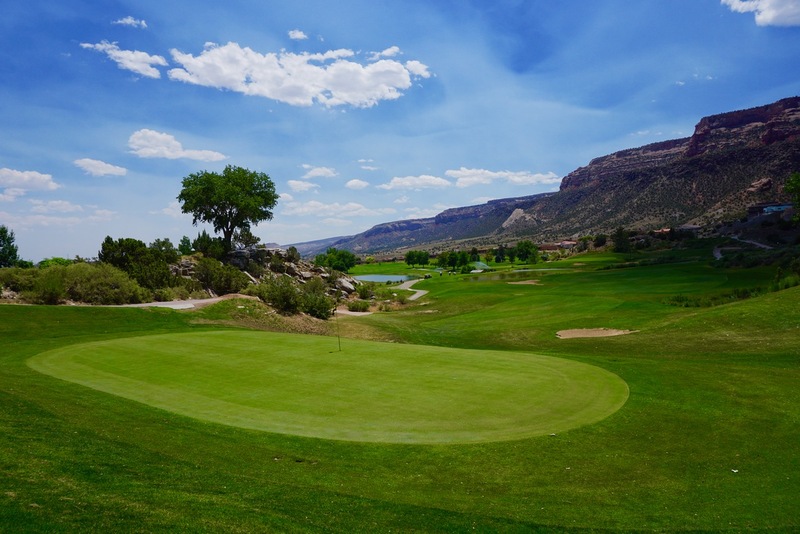 For the first six holes there is little to capture your attention except the bluffs that rise just beyond the course. From the little par-four 7th on, the golf becomes a bit more interesting and challenging. There is usually then fairly ample room to drive the ball, but those greens do require accurate approaches with the fall-offs to the side so you’ll like be chipping a bit more than usual. At 441, 440, and 464 yards, the par-fours spanning the 9th, 10th, and 11th pose the most challenging stretch, but I count the 401-yard 17th and drivable, but dangerous 301-yard finisher as the most interesting challenges. 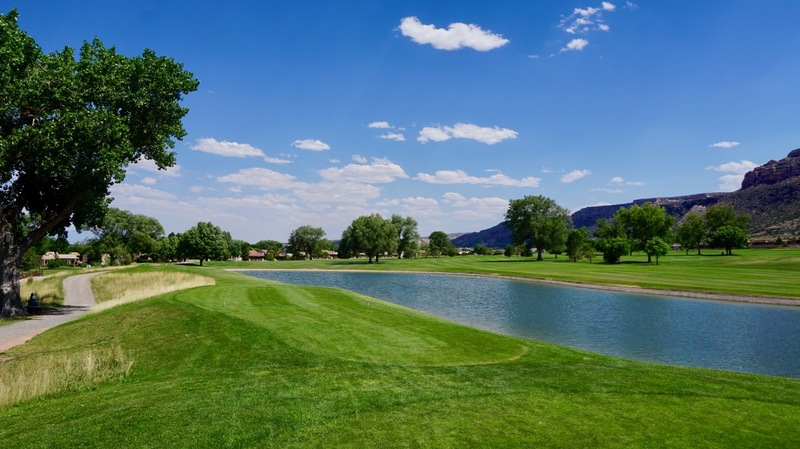 Tiara Rado will never compete in Colorado’s “Best-In-State,” category, but it is the typical of affordable everyday fun, playable golf – and a viable “other Grand Junction golf option” to Redlands Mesa.